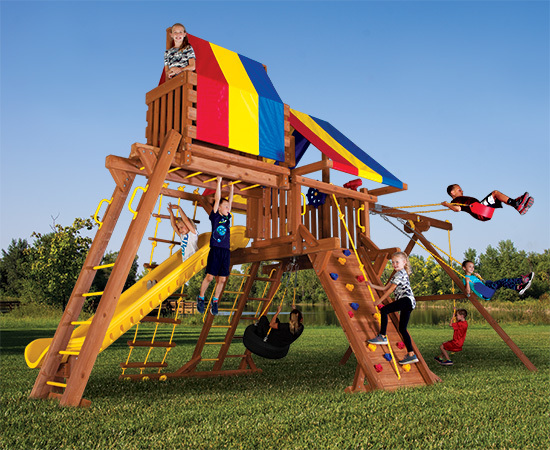 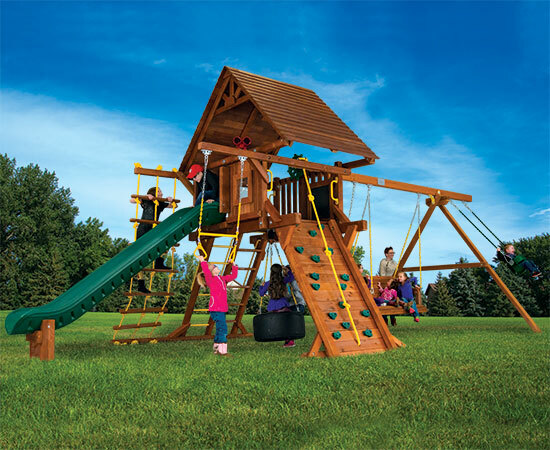 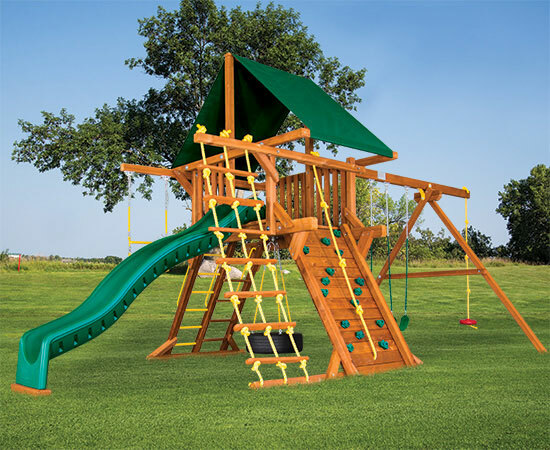 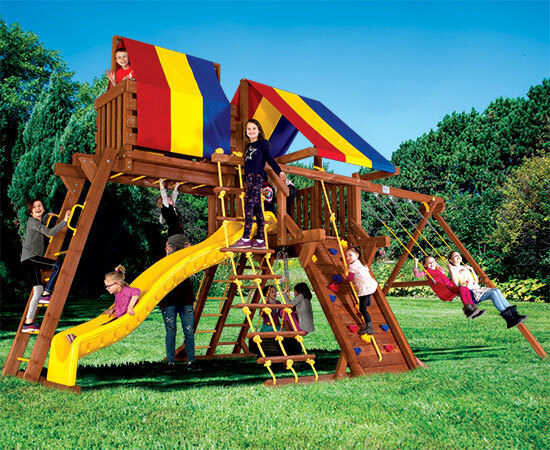 Our Carnival Castle swing set has a 8.5’ swing beam height and 5’ 4” deck height to go along with our 10.5’ length slides. 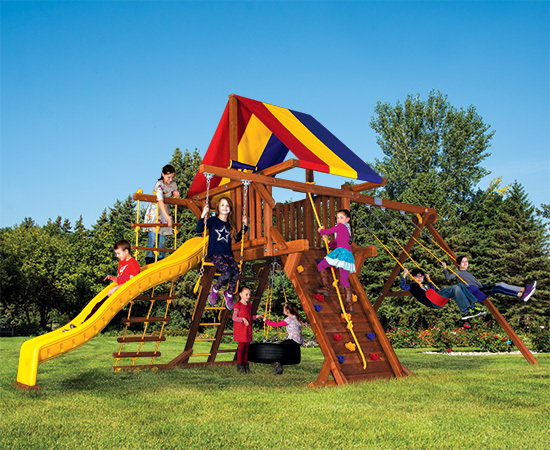 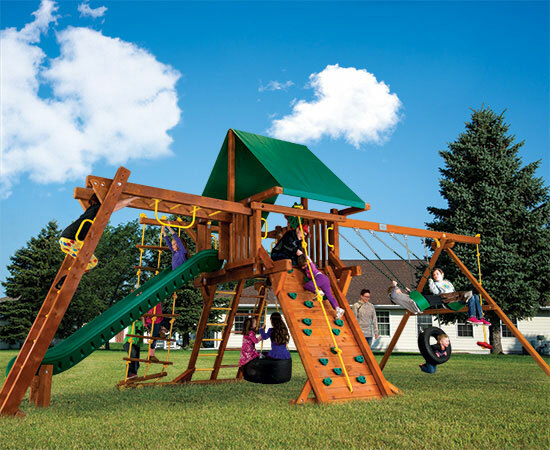 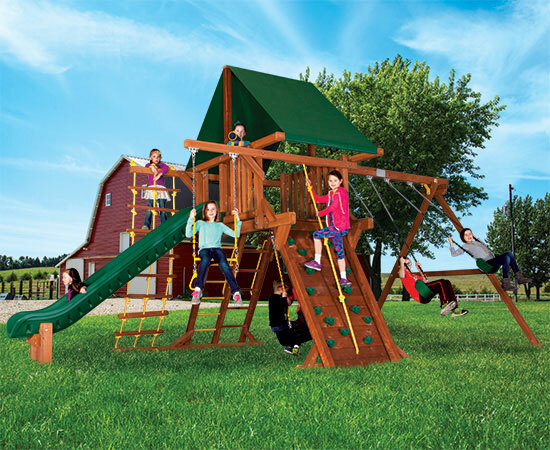 These swing sets are perfect for families with smaller children. 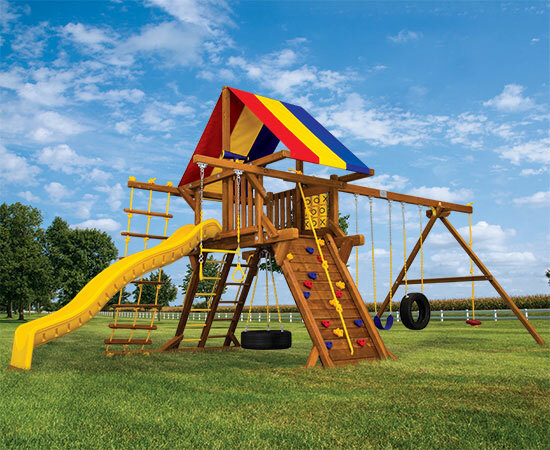 Carnival’s 25th Year Anniversary celebrates the Carnival Castle as part of our Best Value Carnival Series!